Last year a reader commented – quite rightly – that there is a tendency here to cover freshly received suits/shirts/shoes, but not follow up on them later, when they have bedded in. He was right also to say that this is a deficiency. You always know more about how a suit feels, styles and lasts a year later. I have covered the way items age a little, in the ‘How great things age‘ series, but this is only to address one, narrow aspect of my experience. And there are some reflections in the ‘Tailors I have known‘ posts, but they are pretty brief. Here, then, is a first step to address the problem: five things I’ve had made in recent years, and my reflections on them now. Please let me know if you would like other items included in future reviews. This top coat made by Gianni Cleopazzi from northern Italian tailors Vergallo has worn very well. 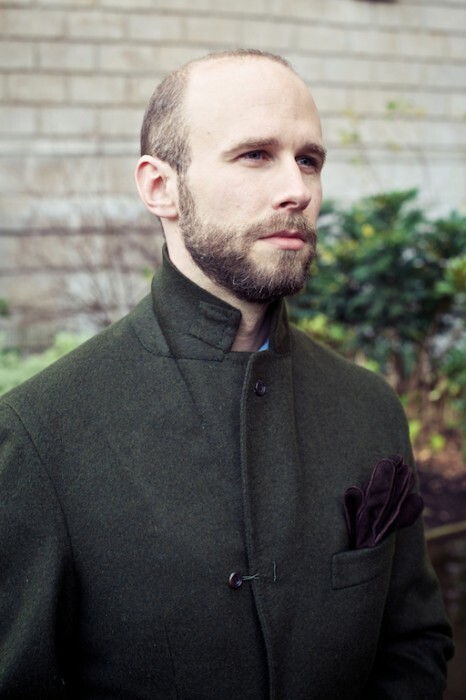 The cut and make were great, and I was particularly pleased with the Loden cloth – I have become a convert since. One thing that didn’t work though was the loop of silk we used to fasten the middle button – the one between the regular, waist button and the collar. The silk is simply too flimsy to fasten one handed (let alone with gloves) and twists too easily. A strip of the Loden cloth was too thick. We have yet to find a resolution to that. I would also recommend the system we used for adjusting the half belt, which cinches the waist when the coat is only worn with knitwear, rather than a jacket. However, I would suggest to another tailor that they pay attention to the front/back balance of the coat. As the belt only tightens the back, it pulls the front of the coat backwards and makes it a little tight at the waist. The balance has to be a compromise between sweater and jacket, as well as the more obvious areas like shoulder and waist. 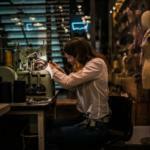 I was rather excited by this Polish bespoke glove maker, particularly the experience of having samples in the shop fitted tight onto my palm and fingers. 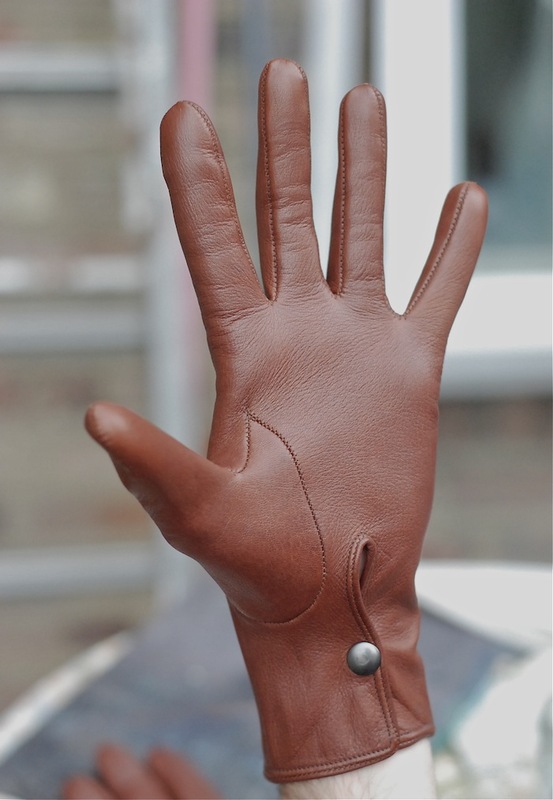 The final gloves also lived up to that promise of a close fit. However, I have since found that the tightness of the fit causes them to ride up my hand, and as a result I wear my Merolas far more. Of all the glove manufacturers, Merola seems to have the best palm/finger size ratio for me. 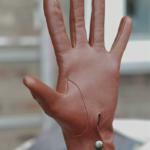 The bespoke glove process may have been improved with future pairs, as all bespoke does, and over time eclipsed Merola. But I rarely travel to Warsaw and haven’t been able to find out. This was a relatively recent acquisition, but being linen it aged and changed very quickly. 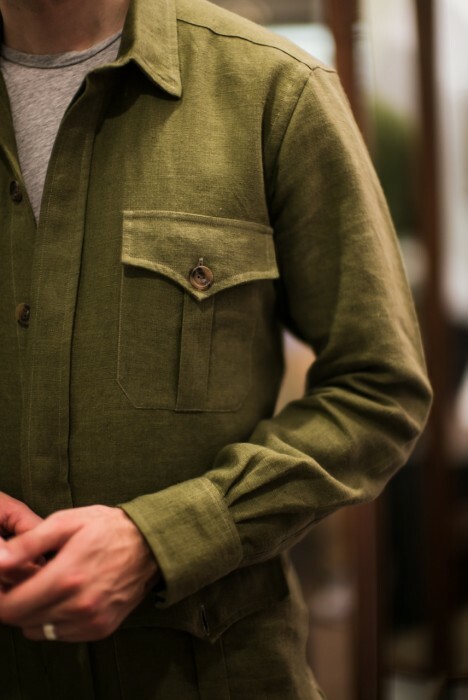 My reflections in the initial posts still stand: it has proved a great lightweight jacket to wear around town, perhaps with fresco trousers and loafers in the summer. However, the clean and crisp look of those initial pictures didn’t last long. After two or three wears, the shirt became very rumpled and casual. That’s fine, but it is better suited to more informal accompaniments, such as denim, in that state. The crispness requires re-ironing. I would be interested to try the same process with a fused collar and cuffs. Budd normally uses a floating lining, as most English shirtmakers do, and as this looked too stiff and formal we removed itin the final shirt. But a light fused lining, as I prefer in my Italian dress shirts, might have been a good compromise. These jeans, cut by Lizzie Radcliffe in the Regent Street store here in London, are easily the best-fitting denim I’ve ever worn. And I’ve tried a lot, from the high street to the wilds of Okayama. My only word of caution would be to not expect the same fit as bespoke dress trousers, given the way raw denim adjusts with wear. No matter how perfect the fit on the waist when they are first cut, the waistband will expand as your legs pull it this way and that. One option is to have the waist taken in after a while, which will usually involve cutting the waistband. Denimheads would consider that sacrilege, but I don’t mind – particularly if the cut is hidden behind a belt loop. The travel blazer was cut by Kathryn Sargent when she was head cutter at Gieves & Hawkes, and covered in The Rake at the time. The fit is superb – among the top 3-4 pieces I have ever had made. The exchangeable-button system, however, didn’t quite work. With gilt buttons it was fine: the shank was long enough to fit through a hole in the jacket and be held by a metal ring behind. It was a tiny bit tight when the jacket was fastened, but not so much that you’d notice. The problem was the other two types of buttons: a solid black horn with metal shank inserted, and brown, holed horn buttons that were glued onto a metal backing which had a shank. In both those cases, the shank broke off after a few months under the strain of daily use. 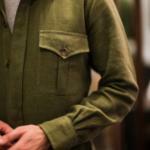 The jacket looks great with the gilt, but I’m always on the look out for other buttons with long shanks built in. You can follow the discussion on Coats, gloves, shirts and jeans: Reflections on bespoke by entering your email address in the box below. You will then receive an email every time a new comment is added. These will also contain a link to a page where you can stop the alerts, and remove all of your related data from the site. An excellent essay as always, my suggestion for a post use review would be the tweed jacket with gauntlet sleeves by Stephen Hitchcock from 2012. Much needed follow up article on a important area , longevity. Convincing Joe Public of the quality of bespoke is one thing but knowing that it will retain its colour , fit and shape is extremely important . I very recently brought a pair of Incotex trousers for a lot more then I would otherwise pay for trousers and whilst the fit is great I will now want them to age gracefully . After all clothes never rip or ‘breakdown’. They just fade which is why I now propose to pay more and buy less . However if in the long term even these clothes fade, shoes look tired etc what’s the point ? So thank you , Simon, and please consider longevity regarding colour, fit and shape. I may be the odd one out here, but I don’t like my clothes to look brand new. Even worse, brand new shoes for a special event. Looks like you bought them specifically for said event and don’t own decent shoes or clothes otherwise when everything is sparkling new and with all the original creases in. Very informative article Simon. One of the great pleasures / pains of bespoke is not always knowing how new ideas will turn out, so it’s very interesting to hear your experiences. On that note, I was curious to know if you ever ended up wearing the travel blazer much with jeans, as you mentioned in your earlier posts about it. From the pictures, it looks rather too formal to work with jeans. Having seen the blazer and jeans look done badly so often here in the States (pale stonewash jeans, black shoes paired with what is clearly an orphaned suit jacket) I’m a little paranoid about wearing it myself, even though it can be a great, casual look. Any advice much appreciated. Definitely didn’t work with jeans. 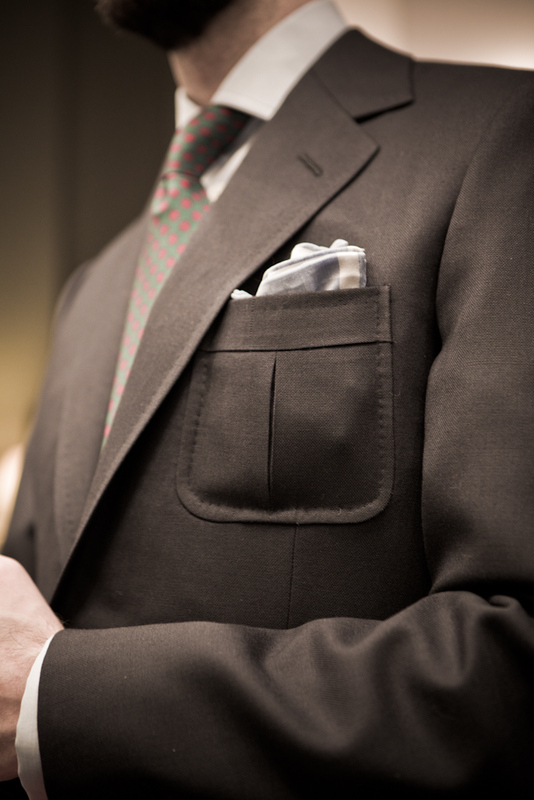 Too formal – which is all down to the structure, not the colour, cloth or buttons/pockets. Glad to hear that the bespoke Levi’s stretch a bit in the waist as my waist increased in size between order and collection! I imagine a post on the Cifonelli overcoat is coming soon, and perhaps an update on your cashmere Vergallo suit. Fascinating to hear of how the little details/inventions have stacked up to the test of time. I imagine you are far more particular and interested in these things than even most bespoke customers; most would probably be satisfied with a great fit and that would be the end of it. I admire your eye for detail. Incidentally, I was walking through the West End the other day when I noticed the Private White store. Popped in and had a chat, told them I found out about the company from your blog; they say you come in often. Nice stock and a beautiful store, I’ll be back for sure. Do you think flannell trousers work with a hopsack odd jacket? Rabster – I’d be very interested to hear your thoughts on Incotex. They look great but I just haven’t been able to justify spending that much on a pair of chinos. All clothes eventually wear out with wearing and washing. And chinos worn regularly would tend to take a bit of a hammering. Last summer a navy blue linen Dunhill suit that I bought off the peg in NYC back in ’08 gave up on me. I payed $180 for it in a fire sale after the markets crashed and I wore the hell out of it. It became my hot weather staple. 1) A&S have cut me a couple of great cord suits lately and I like their house style but I was wondering if this project might be a good one to give to Chittleborough & Morgan. What do you think? 2) Although the creasing was tolerable on linen in dark blue, I have a Zegna jacket that is a linen mix that performs better. Do you think I should go for pure linen or a mix? Hi Simon, where do you go to get your jeans (or suits etc) altered? 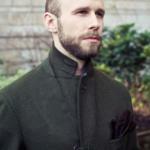 Can you recommend some alternation tailors in central / west London? Thank you. K S Tailoring always do a good job in my experience. Simon, with the current high profile of bespoke, I do worry that too many miss the whole point of having a tailor and, instead, see them as brands to boast about to their friends, as it always was with designer names. You yourself have good reason to research and write about the many international tailors but I still think in most cases one tailor is enough. A Neapolitan-style coat would be the exception as it shares little with traditional construction. 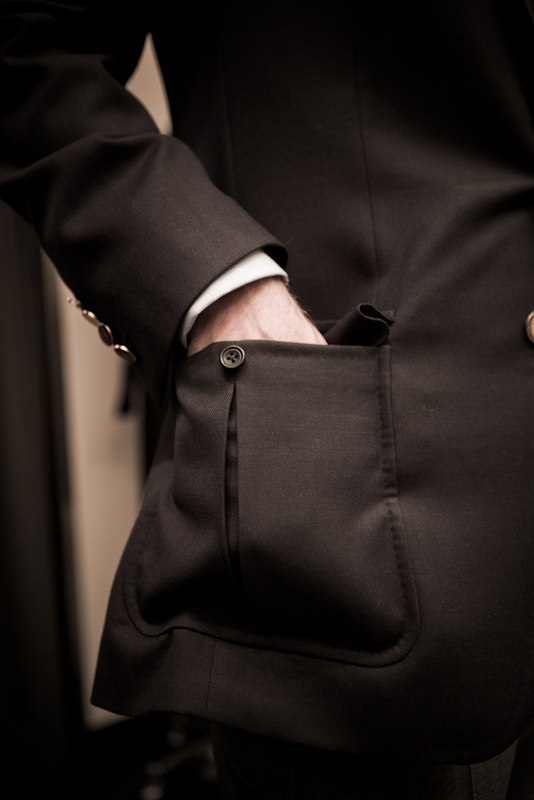 However, all Savile Row firms regularly make coats in summer cloths with a half or skeleton lining if required. In bespoke, you are dealing with one cutter and it’s a very personal relationship. The pattern is never perfect. Ever. It will be tweaked and changed over time as the garments that are cut from it are worn in. Chopping and changing tailoring firms means making things much harder. As for how well clothes wear, it’s an argument that nobody can ever win! 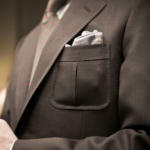 You and I probably agree that a suit in a solid 13oz cloth will tailor and drape better, as well as last longer, than a suit from an 8 oz Super 180. Which is better? Neither. There are some very wealthy people who only ever wear the latter. They order 4 at a time and never get them altered or repaired. Their suits last maybe 3 – 5 years against mine which last 10 years +. For me, wear and tear does not mean a lack of quality. It can in some cases, but it could also be down to the use of beautiful, but fragile, materials. Thanks Mac, very good points. I’m a regular reader and fan of the site. 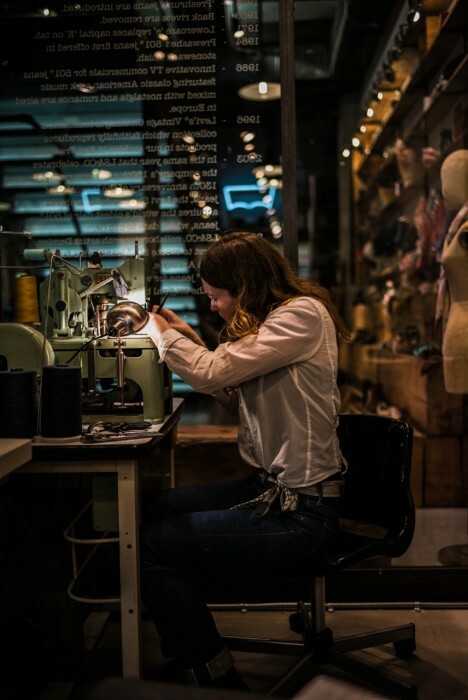 This post embodies what I love about your site – thanks for trying so many different things, examining the process and the results, sharing your experiences, listening and responding to readers’ feedback, and keeping in mind the real purpose of clothes beyond just the initial experience of buying or commissioning them. Keep up the great work. Thanks a lot Ryan, much appreciated. I have a question about crew neck sweaters and silk scarfs. Do you always wear shirts under crew neck if you are also wearing square silk scarf around neck. Do you think its OK to wear long sleeve undershirt instead of shirt. If you are sporting square silk scarf under crew neck sweater do you have any problems with cold around neck since silk is not as warm as wool scarf? Do square silk scarfs work if they are used instead of tie in a suit shirt combination – i think usually non square silk scarfs are used? Hey Marko – I generally never wear shirts with silk/wool scarfs, just T-shirts. I’ve written about this a few times in the past, have a search. Excellent to see such honesty on some of the pieces you have had made. Maybe a regular column of this sort would be a good idea? What would you want included in the next one Bradley? Great article. Something on Cifonelli would be interesting in your next reflection – your tweed jacket perhaps? Finding your Cifonelli commissions awe-inspiring I’d be interested in your opinion on the navy suit as well – when covering them you always seem to resort to rather emotional texts instead of the more rational descriptions other commissions apparently justify. This, in my opinion, is exactly what clothing (and especially bespoke) should do: being art, it should mesmerise. Something on one of your most successful commissions versus one of your most disappointing commissions would therefore also be interesting. I wont waste much of your time. I have a really quick question. I work in a office and most men here wear shirts and trousers. To me this combination always looks like there is something missing i.e a jacket/blazer/sportscoat. I always like to wear blazers with my shirts so I dont really care how the shirts I buy fit me as long as they fit me in the neck then its all good as my blazer will cover most of my shirt anyway. Can you see any problems with my approach? I greatly look forward to your response. No, that sounds good Afraz. Pleased to hear you’re upholding standards! How are the bespoke jeans wearing in Simon? Any chance of some photos? As a long time reader of your writing in various mags and papers, I’m interested to read your crossover into denim and accessories and how you come at those things from your bespoke sensibility. I usually take my jeans in at the waist when I get them, because my hips are much wider than my waist, and again take them in after they’re worn in and stretched. I’ve never heard a denimhead voice an opinion on this and frankly I don’t care. I don’t like belts and this way I can have near perfectly fitting jeans at no extra cost.